Nike (NKE) announced it was suspending his deal with the running back because of the charge that he injured his four-year old son while disciplining him. And Castrol motor oil, a unit of BP (BP), said late Tuesday that it was dropping him altogether. "In light of recent events, Castrol has decided to end our relationship with Adrian Peterson," Paul Giblett, a spokesman for the company said Tuesday. Peterson is the star of the NFL's Minnesota Vikings and has defended himself against the allegations he injured his 4-year-old son. He said Monday he is "not a perfect parent, but I am, without a doubt, not a child abuser." 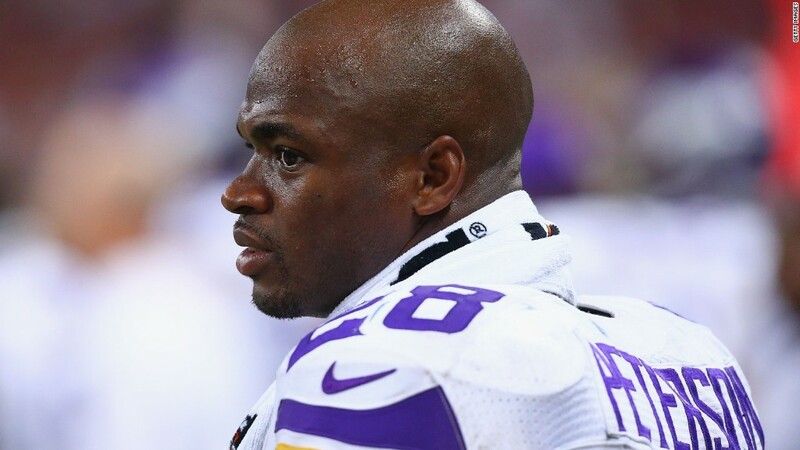 The Vikings announced early Wednesday that Peterson will not play until his legal issues are resolved. It was another reversal for the the team -- after he missed the season opener when the charges were announced last week, the Vikings had welcomed Peterson back to practice and said he would be eligible to play this Sunday. Unlike Ray Rice, the former Baltimore Ravens running back who was suspended when a video showed him knocking out his fiancee, Peterson has yet to be suspended. He will collect nearly $700,000 a week in salary despite not playing. Castrol used Peterson in commercials for its Edge performance oil product and on social media. Many recent social media posts of his likeness had been pulled down, and the commercials were no longer available on YouTube. Nike did not explain what it meant by suspending Peterson's contract -- whether or not he is owed any payments from the shoe and sports equipment maker that would not be paid, or appears in any current advertisements that would be pulled. The company has by far the most extensive range of endorsements in the industry, with $4.7 billion in deals on its books. It is no stranger to its athletes facing criminal charges and scandals and has a reputation for sticking by them when other sponsors flee. It never dropped its deal with basketball star Kobe Bryant when he was charged with sexual assault, charges that were eventually dropped. It also stayed with Tiger Woods, the star golfer who admitted to marital infidelity, when many other sponsors dropped him. And even though Nike dropped quarterback Michael Vick when he went to prison on dog-fighting charges, it was was one of the first to pick up again once he was released. On Monday, the Radisson hotel chain suspended its sponsorship of the Vikings and said it would "evaluate the facts and circumstances."